Following the successful completion of a Crane Rescue Training course we are now able to train in the safe rescue of personnel from cranes. 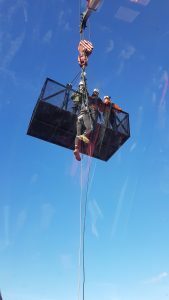 This can be either self-rescue or assisted rescue training. The course is a one day course with both theory and practical training and can either be done at our training centre, or at your premises, dependent on the resources available.